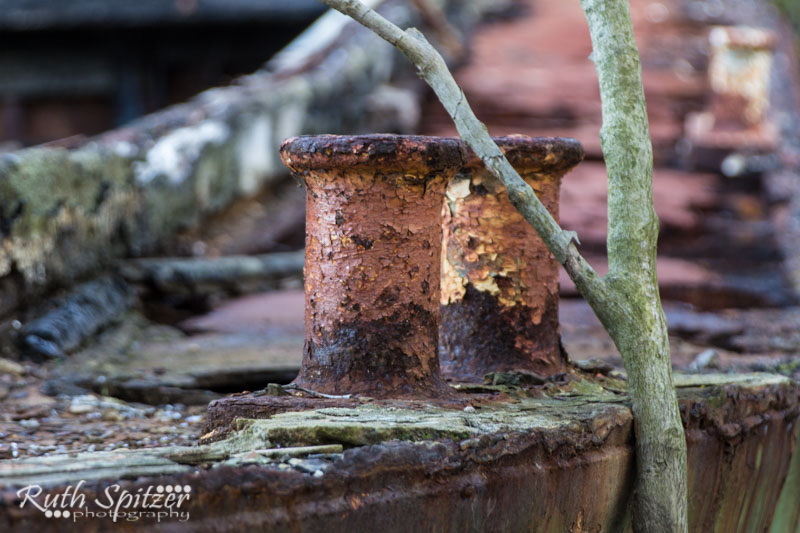 On the banks of the Parramatta River at Homebush Bay, you’ll find yourself gaping in wonder as you gaze upon 1140 tonnes of a beautiful rusted steel-hulled steam collier, a mere few meters from where you’re standing on the bank. 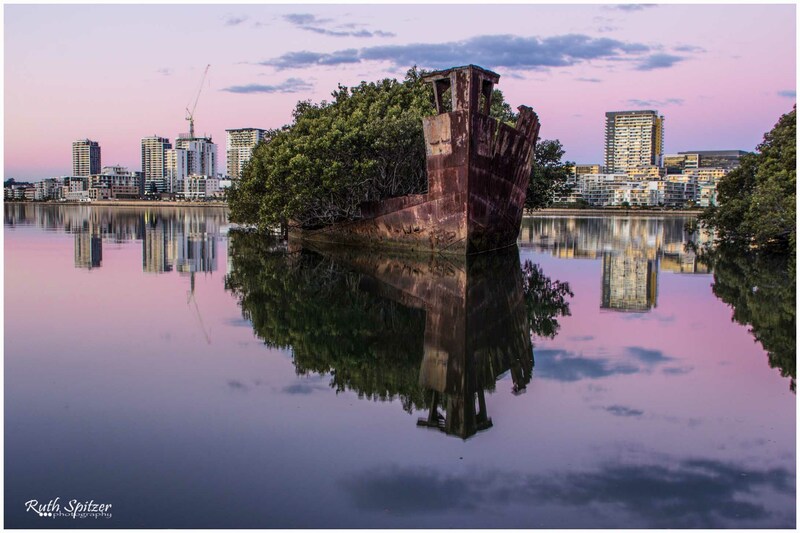 The SS Ayrfield, one of the four shipwrecks that currently reside permanently in a state of gorgeous decay at Homebush Bay that served in WWI and WWII. 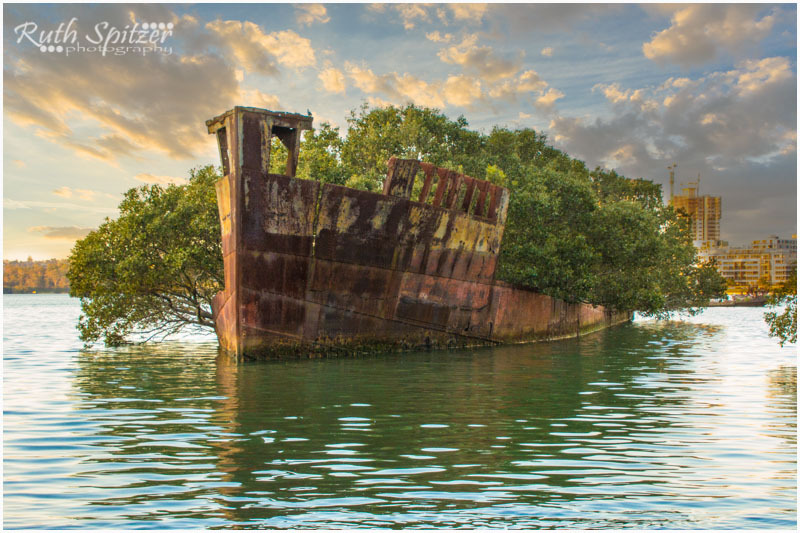 The SS Ayrfield can essentially be classified as a floating rusted relic forest. It truly is a sight to marvel at. Where might you find this larger than life wonder and 3 others? A short ride west of Sydney CBD toward Sydney Olympic Park, home to our world class sporting stadiums that hosted the 2000 Summer Olympic Games, amongst a myriad of additional wonders that make up Olympic Park, you’ll find yourself meandering along Bennelong Parkway enveloped by lush vegetation or via Bicentennial Park, destination Wentworth Park a.k.a Homebush Bay, along the south bank of the Parramatta River, west of Sydney in the state of New South Wales. 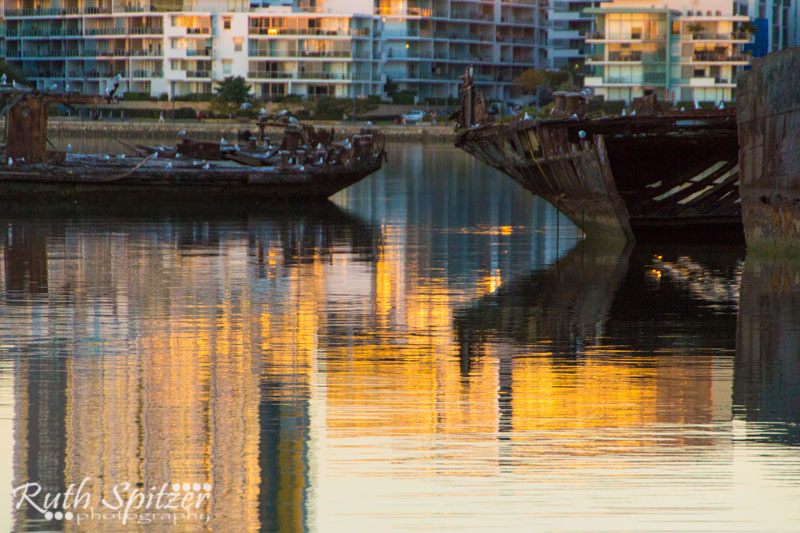 Did you know that Olympic Park, aside from offering residential accommodation, commercial real estate, a range of recreational activities and facilities, 124 acres bushland and 15 miles of waterfront, was once actually used as a ship-breaking yard, parts of it anyway, back in 1976. 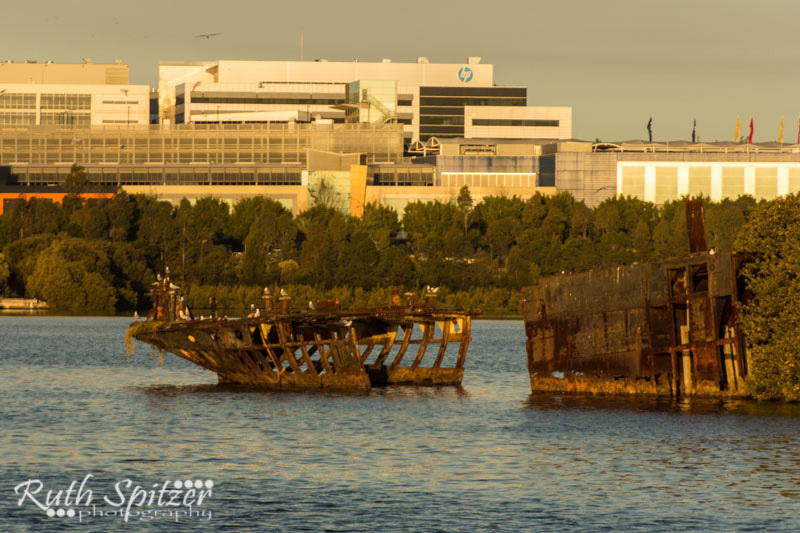 The ships hulls, barges and vessels in Homebush Bay over 75 years old are protected by The Commonwealth Historic Shipwrecks Act 1976 and any relics over 50 years old in lakes and/or rivers are protected by tthe State of NSW Heritage Act 1977. I for one am extremely grateful for these Acts put into place to preserve history and allow us the luxury to view these beautiful rusting relics. 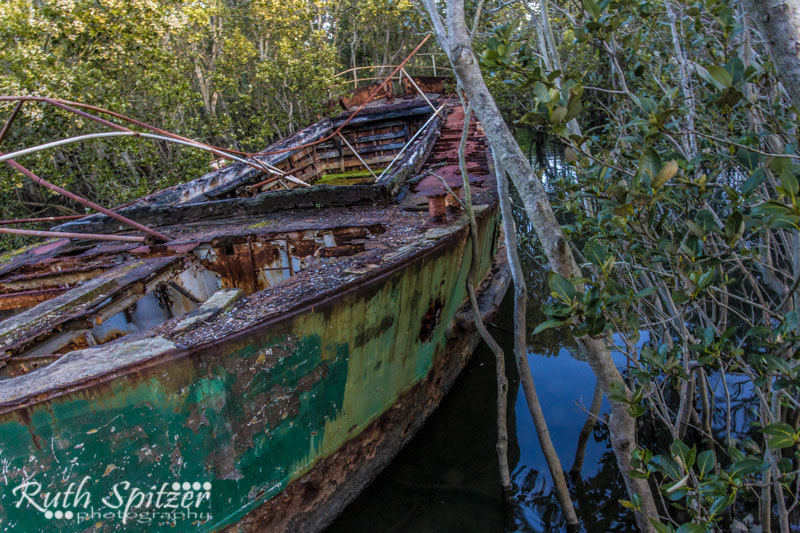 This collier is certainly the star of the show and a photographers delight as it’s so close to the bank and in its current position, you’re privy to the most spectacular sunsets offered as a backdrop highlighting the texture of the aged steel and an overgrown very happy and healthy forest that has taken over majority of the ship. 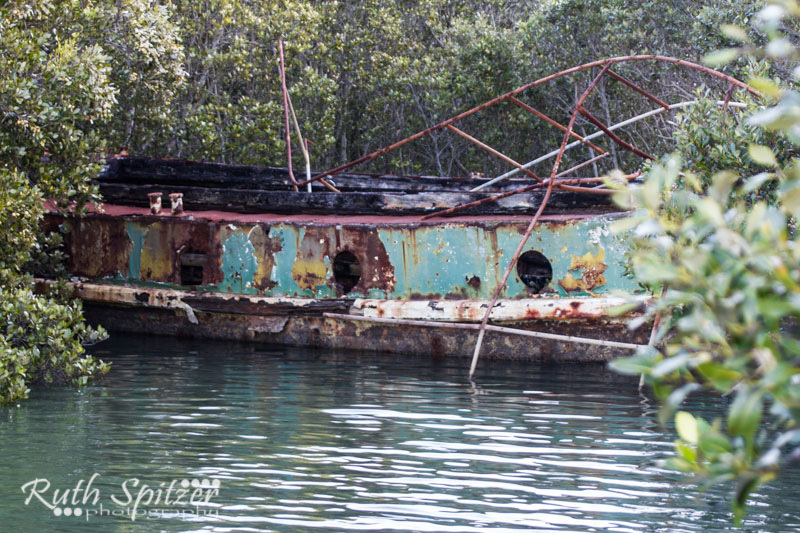 Making it a truly remarkable centre piece amongst the remaining wrecks. 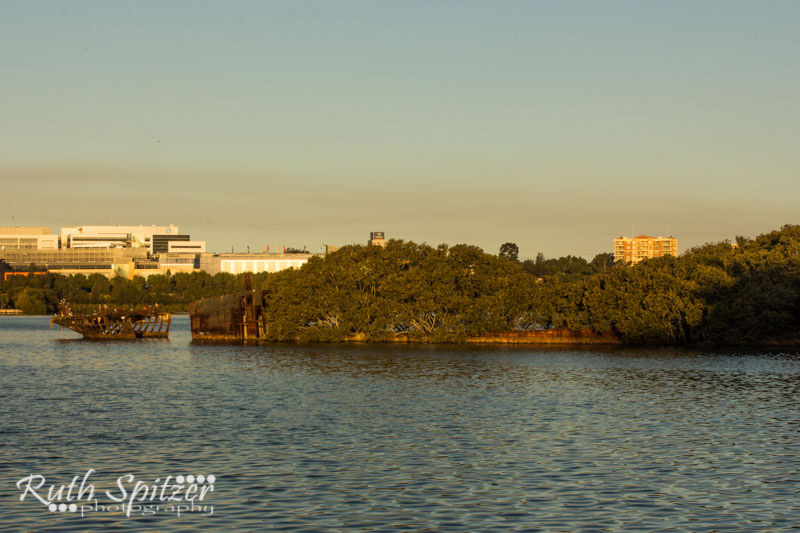 The SS Ayrfield as she stands today, 2015 in the Parramatta River at Homebush Bay. 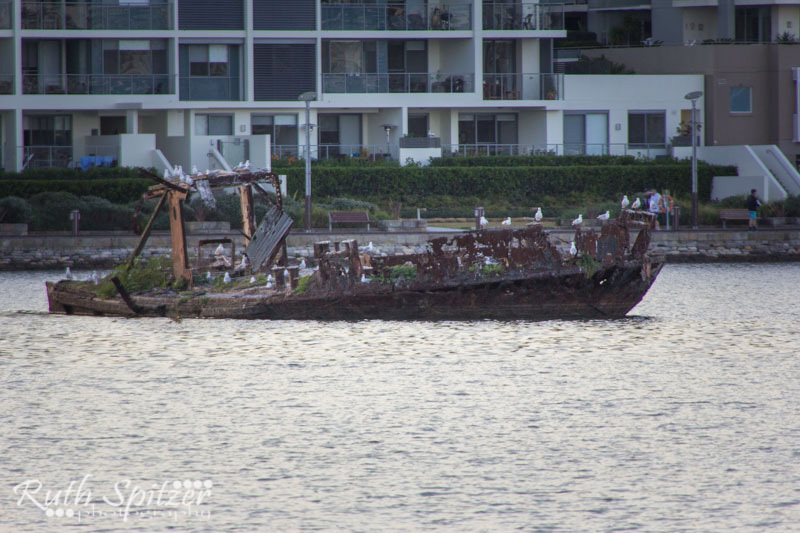 The full length of what remains of the SS Ayrfield that is now predominately overgrown by vegetation and the remains of hull located near the mouth of Haslams Creek with the bow pointing towards the shore. “A steel-hulled, boom defence vessel of 971 tonnes and 54.25m in length. 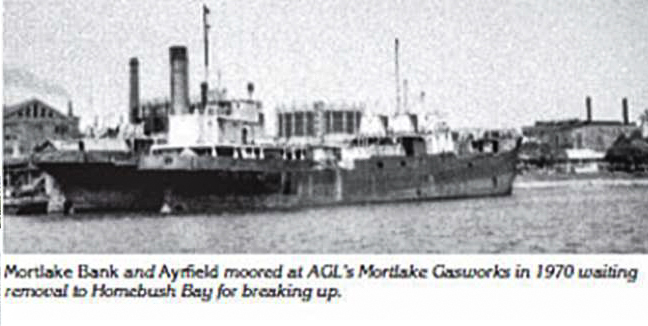 It was built at Cockatoo Docks and Engineering Co. Ltd in Sydney and launched on 16 August 1941. A boom is a net held together by steel rings and supported in the water by floats. The boom gallow, projecting from over the bow of the vessel, was used to lower and retrieve the nets placed across the harbour entrance. There were four boom working vessels built at Cockatoo Island during WWII for the Royal Australian Nav, once of which was Karangi, launched 22 December 1941. All four ships assisted in laying the boom defences of Darwin and were there when the first Japanese bombing raid took place on 19 February 1942. “Weighing 1371 tonnes and 71.65m long. Built in the UK in 1924 and purchased by a company in Melbourne. 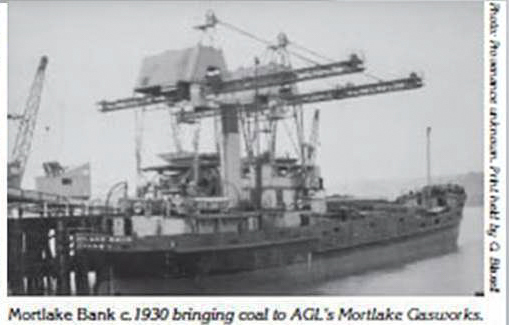 It was used to transport coal between Hexhem and Mortlake. 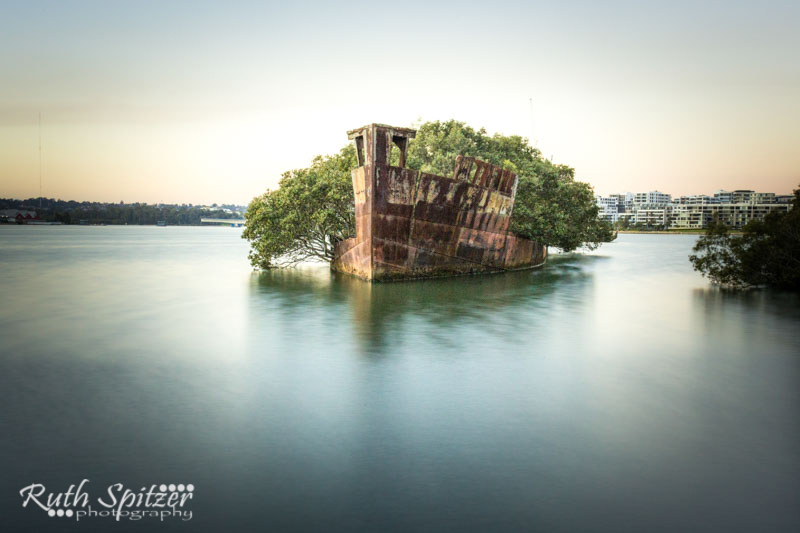 On 31 May 1942, during WWII SS Mortlake Bank entered Sydney Harbour passing through the anti-submarine boom net when the Japanese midget submarine (M-24) made entry under the ship’s keel.